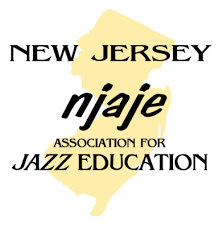 ​The Cherokee Band Programs will once again be hosting the New Jersey Association for Jazz Education's State Preliminary Jazz Festival. ​Tickets will be on sale at the door of the Performing Arts Center starting at 4:00 p.m..
All proceeds benefit the Cherokee Band Programs and NJAJE. More information on the event from NJAJE is available on their web site. Tickets will also be available on site that evening for the Spring Banquet & Basket Raffle. Visit the event page for more information.